Gang of Ducks launches G.O.D. CUTS, a new catalogue dedicated to a series of super limited EPs. Available in a non-specified number of copies, these releases are hand-cut on vinyl by the label itself. Vinyls are all transparent, without the paper center label but with a white silk screen design + hand stamped cat. number. They will also come with a brand new series of cover artworks designed by Airbag studio, realised with white silk-screen print on black paperboard. The first Ep of this series couldn't be by any other but Travis Galloway and Chris Durham aka TRAAG. The Detroit based guys have inaugurated the Gang of Ducks imprint with the magnificent "White Wall" ep and after that, in 2014 they released a mini-lp named UPN 50, one of the most appreciated outputs of the label. 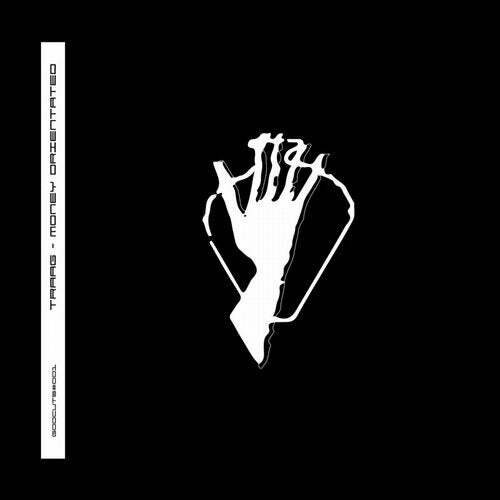 "Money Orientated" ep explores the most narcotic side of their sound, which takes influence from the Michigan noise scene spitting out some bad washed EBM beats. The 5 tracks follow one another perfectly, proving that the Traag sound has become a solid thing.